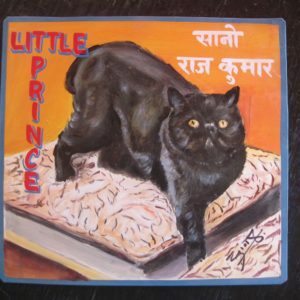 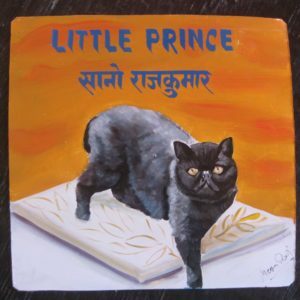 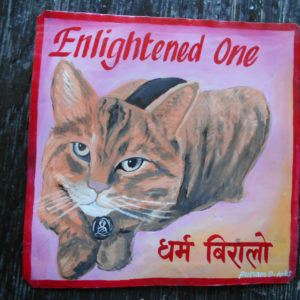 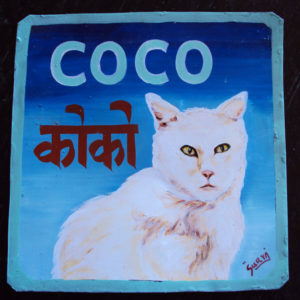 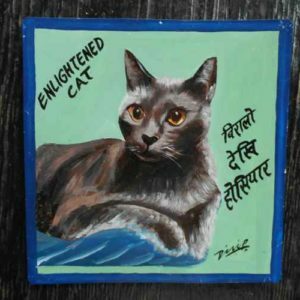 Fisher is a cool Cat indeed in his hand painted portrait by Indra Lama. 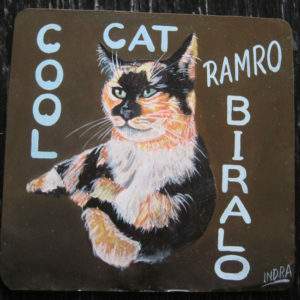 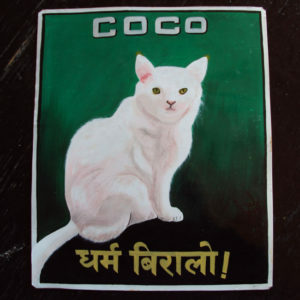 Indra misunderstood the instructions and wrote ‘Ramro Birallo’ (means ‘good cat’ in Nepali) in English rather than in the Nepali Devanagari script. 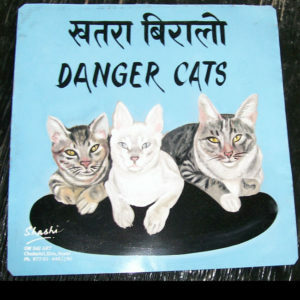 Now available at the Craft & Folk Art Museum store. 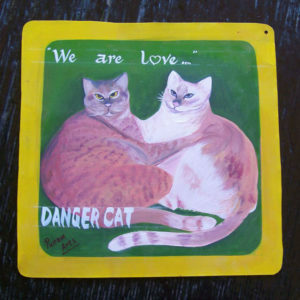 Contact www.cafam.org to purchase. 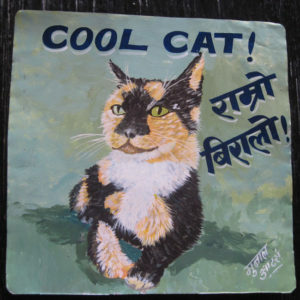 Fisher is a Cool Calico Cat in his portrait by Jit Gurung.